There is a funny image that pops into my head when I think of freedivers practicing dry static breath-holds and attempting to beat their personal bests. I imagine people on their couch, guys in their boxers and girls with wet toenails (how else do you spend your time waiting for your toes to dry? ), holding a stopwatch and turning blue, much to the dismay of loved ones. I call this couch apnea. It makes me chuckle knowing that there could be brother and sister freedivers out there holding their breath with me and cursing the stopwatch just as I do when they take their first breath only to find out that they didn’t get as far as they’d hoped. Welcome to the static wall. The personal static wall varies greatly between us. I’ve learned through trolling forums and reading websites that the 3-minute mark is a common barrier but no matter what the time is, we all hit the wall at some point. I have hit the static wall. I have tried everything from silently reciting nursery rhymes to thinking of not thinking at all. I’ve counted my heartbeat and I’ve tried relaxation techniques. In my desperation, I proudly admit to dunking my head in a bowl of cold water to induce the MDR, only to find that the disruption to the routine is disrupting (though I’m not abandoning the idea completely). Now, if you’re laughing it’s either because you think I’m completely ridiculous or, more likely, because you’ve tried it or are contemplating it. It’s ok, we’re all in this together. When I don’t reach my goal I analyze the situation. What did I do differently? Did this technique not work as well as the former (what did I do last time!)? Am I sick, stressed, too hot, not relaxed, not focused, tired? The list goes on and I have trouble coming up with an answer. 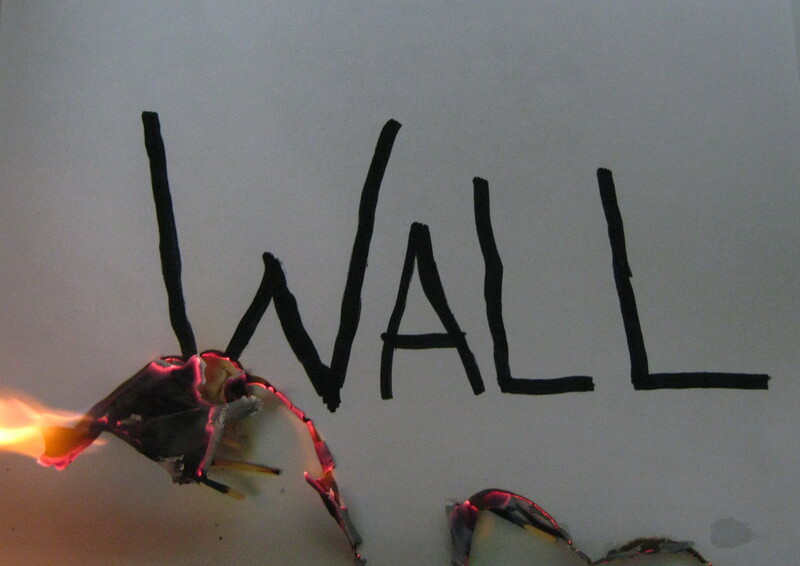 My goal with writing this isn’t to tell you about how I got over the wall (frankly, I’d like some tips on how to do just that), but rather on confronting the wall. It’s easy for me to listen to the loud voices in my head telling me that I failed once again, that I should be doing better by now, that I’ll never make it to the next target time and that I should try couch surfing instead of couch apnea. Can I do this? I understand that there are some things I need to learn in order to improve. You hit the wall because you’ve achieved something and that means it’s time to learn more. So, the tools that got me over the first wall are going to need to be modified. I can live with that. But what next? First, don’t give up. People who do the impossible are people who don’t let walls stop them. What went well? Even if all that went well was that you didn’t black out, then count it! Every breath hold is a success when you don’t keel over. Relax and breathe. Don’t get mad at yourself. One of the key points to going deeper, farther, longer is relaxing and controlling the mind. Freediving is 90% mental. You’ve heard that before. Use this time to work on your mental strength and stay relaxed and focused. Try again. If you quit today, how will you know if tomorrow isn’t the day that you would succeed? Treat every step of improvement with cause for celebration. Get wet for fun. The best advice I can think of after a rough session is to get in the pool or the ocean and play. Children play in order to develop important skills needed for social, mental and physical survival. Play brings a greater understanding of your world at large. If you get in the water and play, you will be strengthening your skills while having fun. In the end, all that matters is that I can spend one second longer than the last in the deep, dark embrace of the big blue. After all, one second is a long time to us freedivers. And in that, perhaps there lies the key to overcoming the wall – one second at a time. EDIT: 6/24/13 – Climbed over the wall tonight by 5 seconds. Every second counts. And every second is an eternity. I broke through the wall tonight with a personal best of 3:35 dry static breath hold. Learning to make it through contractions is difficult and somewhat scary but pushing to go just those few seconds longer means that I am that much closer to my goals. Push through your discomfort, get out of your comfort zone! See what you can achieve with persistence and soon you’ll find yourself on the other side of the wall, too. Great things are waiting there for you. Thanks for the article, do you use training tables to practice your statics? If not it may be something that could help you progress. Hi Charles! Thanks for the tip. I use a training table but feel that it’s time to progress from it to a different table. Perhaps. The current table I use is with a 2 min ventilation and beginning with a 1:30 static up to 3 min if I’m not shooting for a PR. I definitely need to work on enduring the agony of contractions. Thank you! I am glad you found this useful. Best of luck to you!